Google is not wasting any time and it kicks off 2018 with an important update for its Google Pixel lineup of phones that helps with aging of the AMOLED screens. 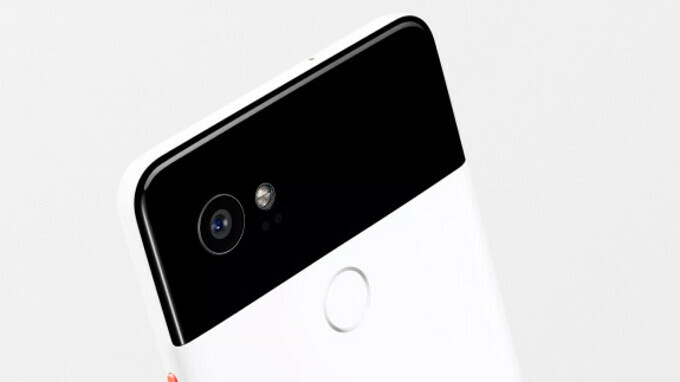 The update has already started rolling out for the Google Pixel 2 XL, but also for the Pixel 2, as well as for last year's Google Pixel and Pixel XL. The interesting detail was not openly publicized by Google, but instead comes courtesy of an update listing over at Canadian carrier Telus. Update: PhoneArena understands that there are no actual burn-in fixes in the January update for the Pixel series, but instead there is a minor update to currently existing settings. Google has previously published its official response to the Pixel display saga saying that it does not find any excessive "burn-in" on Pixel 2 XL (when compared to other rivals). Right now, it's hard to pin-point what exactly Google remedies with this update, but chances are that this is about fixing the severe burn-in problems reported on Pixel 2 XL's AMOLED panel. We have reached out to Google to provide us with a more detailed answered and we'll update you as soon as we get it. Google has earlier downplayed the display issues on the Pixel 2 XL, but has nonetheless committed to improving the phone over time. If anyone of you has received the update and notices any differences, do let us know in the comments right below. Not sure if this was here before, but when looking at my card feed (swipe left to right) the nav bar icons on the bottom go to a lighter grey. That came with 8.1 update. They are starting to fade the notification bar as well now. Victor I know you like to sensationalized the burn in issues with saying it's severe. But let's get real, it was never severe as you or this site made it out to be. You obviously don't own a Pixel. I own the Pixel 2 XL and I have zero issues with the display. Yea it has a blue color shift when you tilt the display but I'm not an idiot who is trying to view my screen tilted. Plus the iPhone X has the same color shift...But of course you don't care about right? Because your head is too far up Apple's arse to be aware. still no updates available for my pixel 2 xl in uk. What version do you currently have installed? Is it 8.0 or 8.1? They released 8.1 in December. I've got 8.1 with 5 dec security patch. i iwas talking about Jan update. When you literally need to modify the interface so your screen may live longer... Burnin-free OLEDs, when?